C A Drillers Ltd have a dedicated telecommunications division that have considerable experience and expertise as a telecoms contractor specialising in the installation and maintenance of cabling and telecom services. 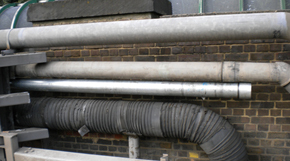 Experienced contractor with over 15 years experience of working with cable utility companies. Our installation service ranges from internal office telecommunication equipment to full cable management systems for external buildings. Whatever the material; pvc, plastic, aluminium or steel, these products can be floor, wall or ceiling mounted. We can thus install cabling to suit your requirements. Our maintenance division will carry out surveys of existing sites and ensure your telecoms equipment is functioning correctly at all times. 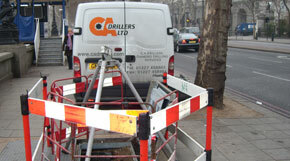 C A Drillers Subway and Tunnel survey teams are very experienced and fully equipped with full safety equipment and trained in confined working conditions to carry out telecom works whether being in service tunnels in London city or large telecom chambers. Available for cable tray or heavy duty trunking to wire baskets and cable ladders. Whatever your requirements our telecoms division can help you deliver power cables, telecoms cables and much more to your site. Click here to read our case study on a project we completed for Virgin Media at the BT Exchange building in Collingdale.